When 'do-it-yourself' took off in the post-war years helped along by the swinging '60s, the destruction of old Victorian houses replaced by new tower blocks and one Barry Bucknell, whose television DIY exploits in black and white - destroying antique fireplaces and cladding doors with charmless hardboard coated in gloss paint - we were witnessing the start of the 'disposable society', which we are now so familiar with. Being handy with tools and turning an old dwelling into a place of modernity was almost 'de rigueur'. The trouble was that not everyone had the skills or the time to learn them properly, so tool manufacturers could see there might be opportunities to make these tasks easier. Power tool sales took off very gradually despite their convenience of operation and hand tools were made more accessible to novices. 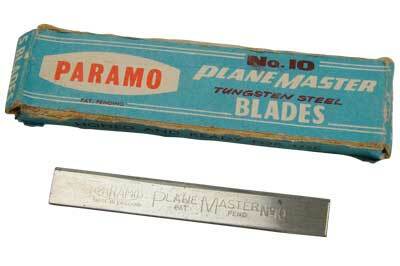 A good example was the Paramo Planemaster: a disposable blade plane from a now defunct company that was originally known as F. Paramore & Sons based in Rotherham, but latterly known as Paramo Tools Group Ltd. Never manufacturing on the scale of a company like Record Tools, nevertheless Paramo produced a variety of hand tools, vices and cramps. They came up with the Planemaster, which, in theory, touched all bases. It came in two sizes and it was light and comfortable in use. 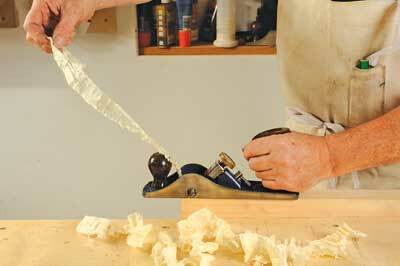 It was also versatile as it was designed as a rebate plane that could be used as a jack plane and it had disposable blades, thus making it easier to set up and use. 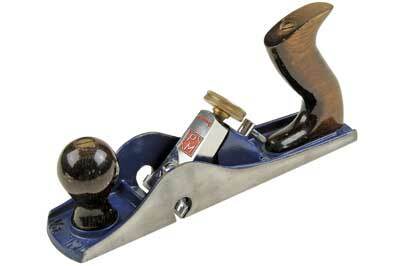 That was the theory but, like so many tool fads, it didn't last and neither has the Stanley equivalent - the RB10. In truth, it is too light. 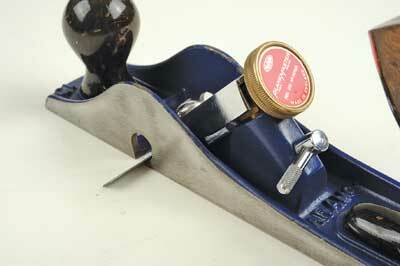 A hand plane needs to be solid and heavy, the weight keeping it firmly on the wood and moving smoothly ahead. The ingenious blade mounting and adjustment mechanism is a little bit fiddly when trying to tilt the blade from side to side - I found that a tap with a hammer worked better. 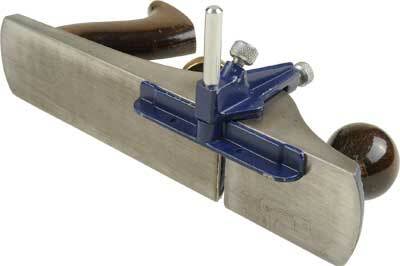 The fence was a bit of an add-on gimmick - clamping a batten in place was a better option. Lastly, the blades were factory-ground, which, to be honest, wasn't the same as being carefully sharpened and honed by a craftsman. Somehow the lack of long, thick continuous blade metal seemed to contribute to a less than sparkling cutting performance. I think the blades that I got with my auction specimen were already used and tricky to hone because they are so small. 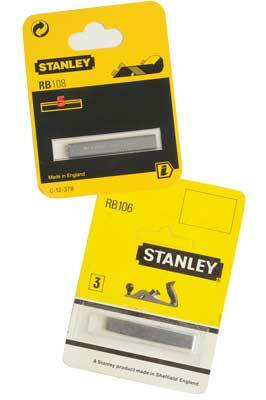 Happily you can still buy Stanley RB10 blades straight or cambered, depending on use. It works, after a fashion, but it's not about to enjoy a revival. 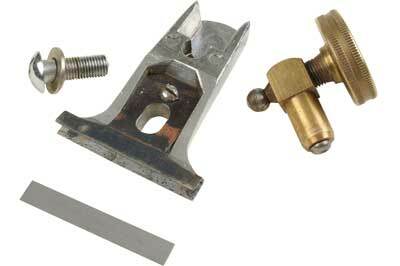 Like Paramo Ltd itself, it too is a footnote in British tool history.